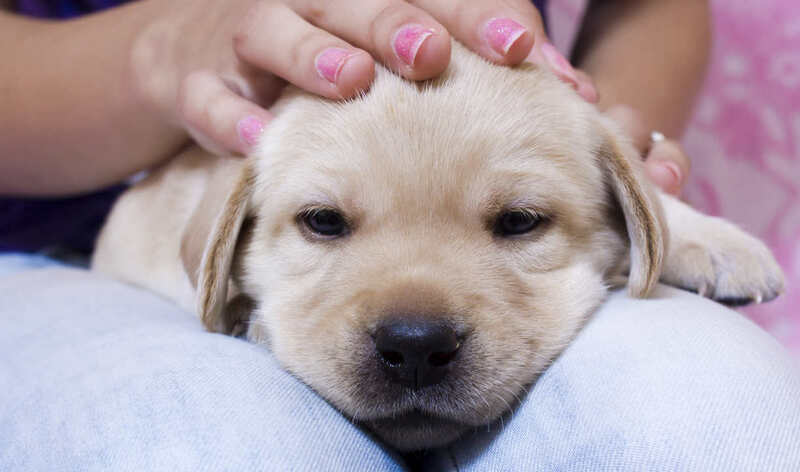 Labrador puppies are adorable, but puppy behavior is sometimes hard to cope with. From the first day you bring your tiny furry bundle home, you will be thrown into a whole new world of potty training, biting, chewing, crying and much more. But don’t panic – let us smooth the way with some great articles to help you keep calm, and resolve the conflict in a positive way. My Puppy Wees On My Guests! 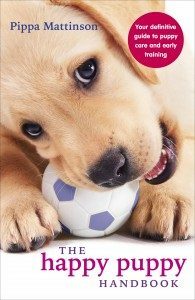 You might also like to check out our full range of Behaviour Articles and our section on Labrador Puppy Training. Hi i had bought an 8 week old yellow labrador puppy who is not almost 12 weeks old, he is not very active, i tries teaching it to fetch but he doesnt retireve at all, i tried playong with him and getting him excited but he just walks away. Also he eats bird droppings and now has red pimples or rash like things on his lower stomoch. Please help im really worried!! I took him to the vet and he says its fungus. What dobi do to make him more active and stop eating bird poop?? I am hoping that this passes and she will be fine. Anyone have the same type of experience? I have a four month old lab. He has been lately waking up from sleep with a pant and dizziness. He never had any issues for last two months but I’ve been noticing this sudden change a week ago onwards. We took him to vet and got his blood and vitals checked. He is physically fine but we are clueless why he pants in his sleep and falls down feeling dizzy. Can you suggest or have you come across anything like this before? We had a 4.5 year old lab, and six months ago brought his nephew home. They don’t fight, but when they play it is sometimes very loud and aggressive/assertive. We break them up. The little one doesn’t leave the older one alone and it’s annoying for him. Second, can we use a muzzle to keep the 6 month old from chewing everything in sight? How long can we leave the muzzle on? That’s a very common trait for a lab puppy. Even my boy used to bark at us . They slowly will stop it . Don’t worry. Hi I bought a lab pup yesterday… It was so active.. But today he vomited and dint have any food from the morning.. And still sleeping.. Am so worried… He is not eating anything… He is sleeping for hours and hours without having his food… Just drinking water.. Is there a problem? Hi we have a 8 week old lab that we took home yesterday, he’s had very runny poos and itchy ears. He seems to not be playful at all and very placid, he nibbles a bit on toys and our fingers but not without any encouragement. I feel like lab puppies would be more playful and we’re worried there is something wrong, any advice ? My 4 month old lebrador male puppy he is sad every day and some times not eat food . give me advice? Hi Manish, If you are concerned about your puppy’s behaviour in this way then the first thing to do is to take him to the vet for a checkup. I hope he feels better soon. I have a 7 month old lab and it will bark like crazy sometimes and i walk out aide and he stops then i walk in and he starts like 5 minutes later at the most. I have 4 months and 10 days lab,she is really naughty.i have a very big problem with her she isnt allow us to going out without her and she is reaaly dependent and that is the worst,what can i do to be alone minimum for 3-4 hours. I have a 3.5 month old puppy. She eats at 19h, we play, she drinks water at 20h, we walk ,she goes to pee and she goes to bed at 21.30h. She wakes up at 6, sometimes 5.40. She is outside in her house. So we get up and let her out in the backyard, we don’t play at that tinw. She has breakfast at 7.30. Is it normal that she gets up this early? I tried what you sugested but didn’t help. Please help, we need her to sleep till 6.30 at least. What should we change? Change the owner of Dog. Its with his mother itself. E times will wait till she’s back in the house and go. What am I doing wrong ? Hi Linda, This is very normal, so don’t worry. There is lots of advice on how to solve this problem in this article. Best wishes, Lucy.